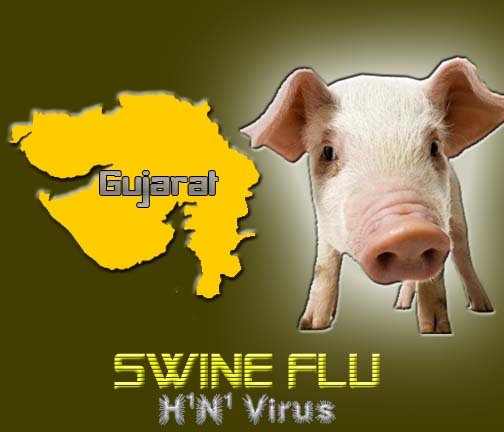 Gujarat has recorded its 28th human swine flu-related death. The deadly virus turned more deadly on Tuesday as two more persons died of deadly H1N1 virus in Gujarat's Surat city. Informing the reporters, the health officials said that Budhiya Patel, 21, admitted to Mahavir Cardiac Hospital died on Tuesday. Patel expired within an hour after he was admitted to the hospital. He was tested positive for H1N1. Patel was a resident of Jalalpore in Navsari. The second victim, Rohit Vasawa, a resident of Sarthana Jakatnaka died at SMIMER Hospital on Tuesday. He was admitted with symptoms of bad cough, sore throat and high fever. Apart from this, 8 more people were admitted in swine flu designated hospitals across Surat. Notably, Gujarat is the third worst swine flu-hit state after Maharashtra and Karnataka in the country.